Briscoe will make his third NASCAR appearance at Atlanta Motor Speedway. 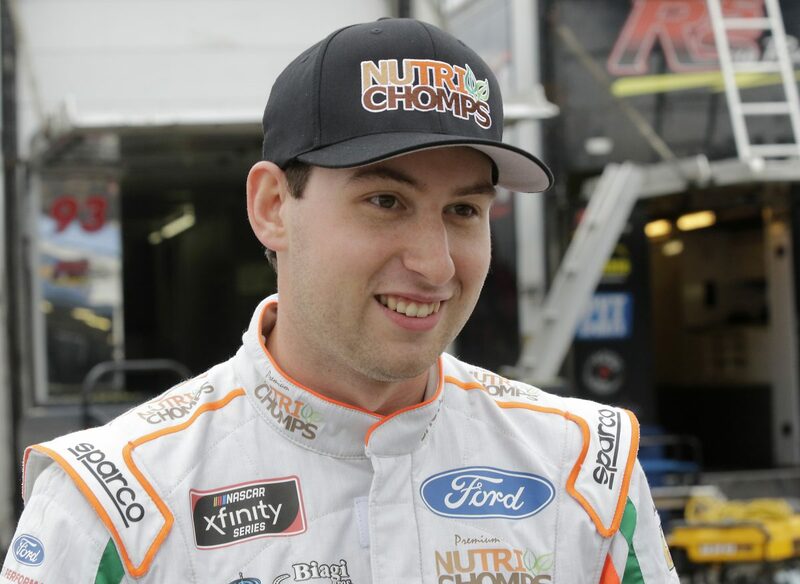 He has two previous starts at the Georgia track, one in the NASCAR Xfinity Series and one in the NASCAR Gander Outdoors Truck Series. Boswell has recorded one win and two top-five finishes in two starts at Atlanta in the NASCAR Xfinity Series. Boswell earned his victory at Atlanta one year ago with Stewart-Haas Racing driver Kevin Harvick. The #ChaseThe98 campaign continues this weekend with Stewart-Haas Racing co-owner Tony Stewart’s friendly companions, Max and Mia, adorning the sides of the No. 98 Nutri Chomps Ford Mustang. Click here for Briscoe’s career stats. Click here for Briscoe’s stats at Atlanta. Click here for photos of Chase. Nutri Chomps has taken the lead delivering 100 percent rawhide-free dog chews that are the healthiest choice for dogs. Our rawhide alternative dog chews are fully digestible and veterinarian recommended. Nutri Chomps are vitamin and mineral enriched, high in protein and fiber, and low in carbs. Dog-Approved Nutri Chomps can be found at a retailer near you: www.NutriChomps.com. Your crew chief, Richard Boswell, won here last year. How much confidence does that give you heading into this weekend?